I was lucky to travel through Vietnam when I lived in Thailand. The landscape and architecture were breathtaking, the people were welcoming and friendly, and the food was incredible. Vietnamese food is less familiar to Western palettes, but it is a rich and varied cuisine we should all get more familiar with. In the tropical South, the cuisine is similar to that of Thailand, inspired by the abundant tropical fruits and flavours of the Mekong Delta. In the North, the food is influenced by its proximity to China with lots of stir-fry and noodle dishes. The French colonial history also left its mark—oh how beautiful my first baguette in Vietnam was after months of too-sweet, sticky-spongy “bread” in Thailand! So let’s explore some of what Vietnamese cuisine has to offer. In this article, I’ll share some of my favourite Vietnamese recipes, and explore some of the best Vietnamese cookbooks available if you’re looking to really bring the flavours of Vietnam to your kitchen. Feel free to skip right to the cookbooks by checking latest prices and reviews on Amazon from the links below. Vietnamese Recipes to Test out Now! I enjoyed this dish in the beautiful seaside town of Huế. This is a seasonal recipe—you can only get squash blossoms for a short time during the growing season, so do it when you can! Though some other recipes will call for stuffing the blossoms before frying them, I like this simple, unstuffed preparation. In this recipe, you coat the squash blossoms in a rice flour batter and fry in a good-for-deep-frying oil like canola or corn oil. What you get is a light, crisp little blossom with a subtle taste. Don’t forget the dipping sauces! This noodle soup is one of the more familiar dishes outside of Vietnam—pho restaurants have been popping up in trendy neighbourhoods all over. To me, it’s the perfect dish to showcase Vietnamese food: it looks simple, but the flavours are complex and so satisfying. This is a comprehensive guide for making your own pho at home. The most important factor is the broth. The recipe describes which bones are best for making the broth, which spices to use, and how long to simmer it for. I like to use a slow cooker to fix and forget the broth for a few hours. Banh mi is the love child of Vietnamese cuisine and French colonists. You find these deceptively simple sandwiches at street stalls throughout the country, assembled on a fresh, crusty baguette. Here are some tips for the essential elements of a bánh mì sandwich if you want to get creative. Bánh mì can be made with chicken, pork, beef, tofu, or paté. I like this recipe with a seared marinated tofu as a tasty way to get a vegetarian meal in. This recipe calls for pickling a few veggies beforehand, which is much simpler than it sounds (and is a great skill to acquire for all your cooking adventures!). Watch a bánh mì sandwich being constructed at a food stall in Ho Chi Minh. Bánh Xèo looks like an omelet, but it’s actually a crepe-like dish made with rice flour and coconut milk. It’s typically filled with shrimp, pork, and greens such as cilantro. Turmeric gives it its yellow color. This is a great step-by-step guide with images for making banh xeo yourself. This is the sort of dish that isn’t hard once you get the hang of it, but it does take some practice. It’s important to be organized and have all of your ingredients laid out ahead of time as the little pancakes fry up quickly in the pan. Vietnamese spring rolls are another dish that showcase the freshness of Vietnamese cuisine. The Vietnamese name for spring rolls (GỎI CUỐN) actually translates to salad rolls, and it really is like a salad wrapped into translucently thin rice paper wrappers. This is an instructive recipe for making your own spring rolls. They include a link to their tutorial for rolling spring rolls, which can be a bit tricky at first. While the filling of lettuce, shrimp, pork and other veggies is delicious, I especially love the peanut sauce these rolls are typically served with! Lemongrass is one of my favourite Southeast Asian flavors. The tough, weed-like stalks don’t look appetizing, but they impart such an interesting flavour to soups and stir-fries. This is a classic stir-fry dish, so you’ll need a wok! This recipe includes step-by-step photos to walk your through the process of preparing this tasty dish. Serve over freshly steamed jasmine rice. Yummy! Fresh dairy is not common in Vietnam, but sweetened condensed milk is ubiquitous and is the defining ingredient in Vietnamese coffee. I’m a coffee lover, so I thoroughly enjoyed Vietnam’s unique coffee preparation, both cold and hot! As this recipe notes, one of the unique aspects of Vietnamese coffee is the special coffee filter, called a phin, that’s used to brew the coffee straight into the cup. You can get your own phin here, but you can manage with a French press or whatever you normally use to make coffee. Either way, the important factor is that your coffee is strong so it can stand up to the rich sweetened condensed milk! Do you want more Vietnamese recipes to try? 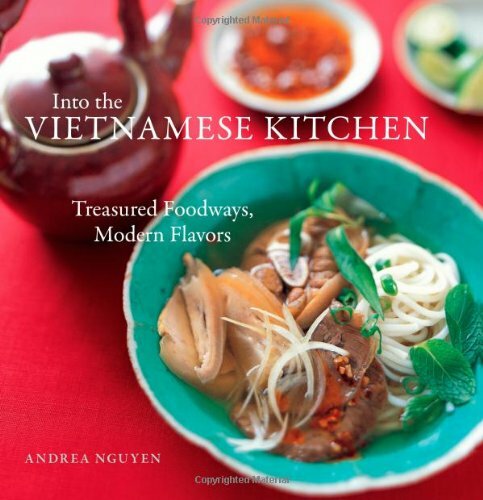 Here are some of the top reviewed cookbooks on Vietnamese cooking. This is a frequently recommended book on cooking forums and is a great compendium of classic Vietnamese dishes. The dishes covered in this book run the gamut from banh mi sandwiches to pho soups, to give you a full taste of Vietnamese cuisine. It also includes a lot of background information on ingredients, equipment and techniques. It is written for cooks outside of Vietnam who have limited access to authentic Vietnamese equipment and ingredients. Pham is a well-known restauranteur in America who’d left Vietnam in 1975. 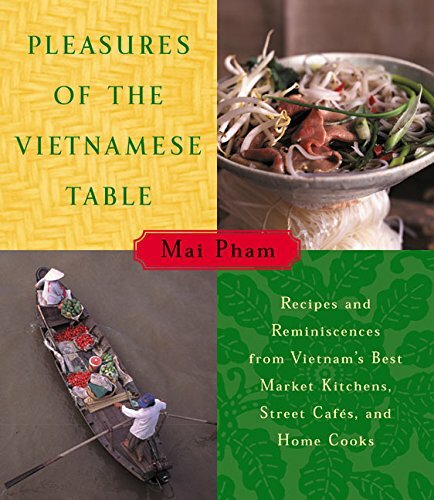 This book compiles recipes and stories that she collected on her many return trips to Vietnam. If you don’t have access to a good Asian market, you may have some difficulty finding the exact ingredients or equipment to faithfully execute these recipes. But if you’re looking for very authentic Vietnamese cookery, this is a great book! This book on all-things banh mi gets rave reviews for its thorough descriptions of the essentials of banh mi creation, as well as the many tricks and tips it offers. It’s also a nice read, with background information and anecdotes. Although this is a cookbook with a very specific focus, it’s the kind of cookbook that can inspire adventurous home cooks beyond the banh mi sandwich. This book is more than a collection of recipes; it’s also a family history and memoir of the difficulties endured by Nguyen’s family as they left Vietnam and settled in Sydney where they eventually opened the Red Lantern restaurant. Many reviewers note that the personal portion of this book is so moving and well-written, you can simply curl up and read it like a novel. But importantly, the recipes are also good, with a good range of simple dishes to more complex ones with potentially hard-to-acquire ingredients. So be aware: if you simply want a collection of recipes, this won’t be the book for you. But if you want to get an intimate portrait of a Vietnamese family and the life they share through food, this is a great choice! I’d love to return to Vietnam and explore this lovely country again. But until I’m able to do that, I’ll definitely bring these flavors into my kitchen with some of the recipes I listed above. And with so many excellent choices of Vietnamese cookbooks, I can’t really pick just one! Into the Vietnamese Kitchen looks like a great choice for expanding my Vietnamese cookery skills without being too complex. 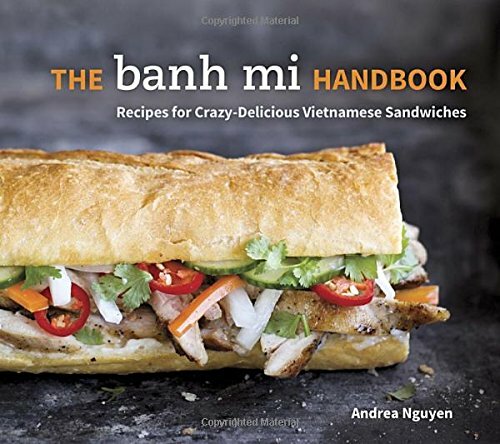 I also love the idea of The Banh Mi Handbook —it sounds like a great resource beyond just making banh mi (but I do love a good crusty baguette sandwich, too!). 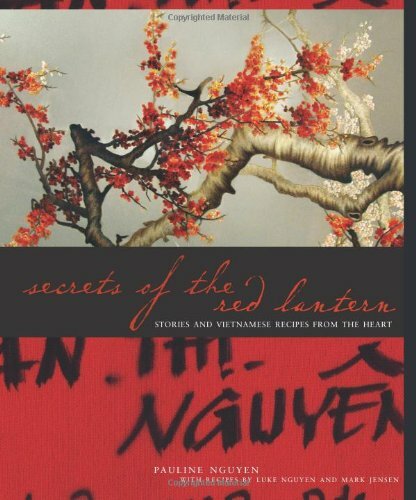 But I’m also intrigued by Secrets of the Red Lantern —connecting with the food on a personal level can really expand your experience of cooking and eating it! Do you have a go-to Vietnamese recipe or cookbook? Let us know!